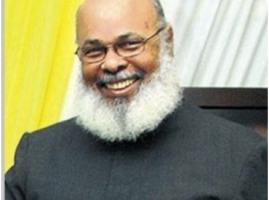 Professor Frederick W. Hickling was born in Kingston Jamaica, in 1944. He attended the Wolmer’s Boys School on a Wolmer’s Foundation Scholarship, and subsequently pursued higher education in medicine and psychiatry at the University of the West Indies, Mona. Professor Hickling received specialist training in anatomy at St. Thomas’ Hospital Medical School, University of London, and postgraduate training in psychiatry at the Royal Edinburgh Hospital, University of Edinburgh.